How Are Windscreen Cracks Repaired? Noticed a small chip or crack in your windscreen but aren’t sure what to do about it? Even if the windscreen damage is minor, it can lead to greater problems in the future. Both financially and mechanically, the small damage will become a large burden. Safety is paramount in vehicles and windscreen damage should also be repaired for that reason. At Advance Auto Glass, we will always try to repair your windscreen before replacing. Whether it’s our mobile service or in the workshop, we’ll work hard to get you back on the road quickly. For more information about cracked windscreen repair, keep reading. These chips and cracks are generally caused by stones that flick onto the windscreen. If the crack is in the driver’s direct line of vision, the windscreen will need to be replaced. After an inspection, our team will determine if the damage can be repaired. If it is repairable, the windscreen is cleaned to ensure it is free from dirt and loose glass fragments. This ensures that no particles interfere with the resin that will be applied. Once cleaned, a resin is forced into the break area of the windscreen. When the resin has entered the crack, it is cured using ultra-violet light. This ensures the crack is permanently glued. After it has completely dried, the repaired spot is scraped and polished, making the area looking as good as new. Overall, the repair process will save you time and money, and it also comes with a 12-month guarantee. Once our windscreen technician has finished the repair, we ensure your vehicle is free from damage. Advanced Auto Glass technicians use primer paint to patch up any small damage to your car’s body. Our technicians follow procedures that adhere to the strict industry standards. This ensures your car will look as good as new, without compromising the vehicle. 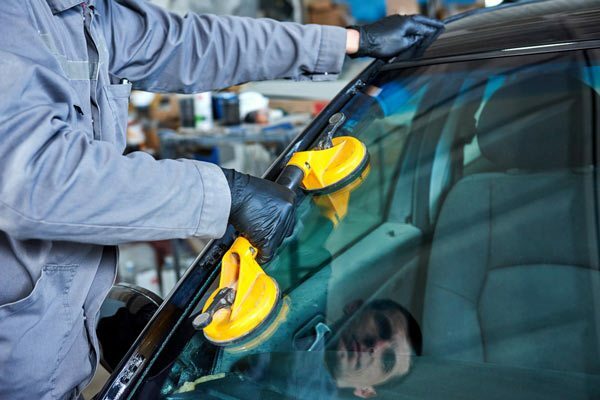 At Advanced Auto Glass, we tailor each vehicle to its specific needs. We offer a fast and reliable service so you are never off the road for too long. If you need urgent same day repairs and you can’t come down to our workshop, call us for mobile repairs throughout the Sydney area. Advanced Auto Glass is committed to ensuring you receive the best service possible. With more than 10 years of experience in windscreen repairs, our service is well-renowned. The next time you notice a crack in your windscreen, call Advanced Auto Glass. We’ll have it repaired in as little time possible.